[dropcap size=small]T[/dropcap]his has been a good year – no make that a great year – for Chris Janson. From his Top Ten “Billboard” hit, “Drunk Girl,” to his induction into the Grand Ole Opry and now his two Country Music Association nominations for “Drunk Girl” – Song of the Year and Video of the Year – 2018 will be a year forever etched in the entertainer’s memory. “Drunk Girl” has garnered the singer more than 50 million on-demand streams and more than three million views on YouTube. The passionate ballad that entreats men to respect and honor women in any situation has touched hearts across America. The singer wrote the song with mega writers Tom Douglas and Scooter Carusoe. The response has been overwhelming for all of them. The moment that Janson says will forever remain the highlight of his career happened on March 20 when Garth Brooks inducted him as the youngest member of the Grand Ole Opry. Another of his heroes, Keith Urban, had invited him to become an Opry member on February 5 at his sold-out show at the Ryman Auditorium. When Janson became an Opry member, he was well-prepared for his induction. The 31- year old stayed up the night before, watching every new member ceremony and every video he could find of someone being asked to be an Opry member. He wanted to make sure he knew what to expect. “Can you believe it? Oh my God,” Janson said when Brooks made the formal introduction. Then Garth had a few words of wisdom to impart to Janson. When Janson came to town, he played on Lower Broadway, the entertainment mecca of Nashville with dozens of bars and restaurants where newcomers can find a place to play, mostly for tips. He has a ready explanation for why he got into music. The entertainer jokes that he didn’t like school and he didn’t like to work, so music was the only option left for him. While playing on Lower Broad, Janson honed his talents as a songwriter, and consequently has had songs recorded by Tim McGraw, Hank Williams Jr., Justin Moore, LoCash and many others who have demonstrated their faith in him by recording his tunes. He managed to hang on to two of his songs, “Buy Me A Boat” and “Fix A Drink,” which became his first two hits. 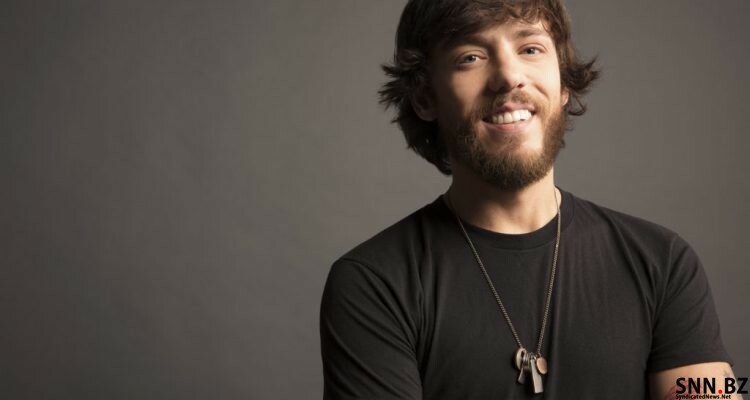 Janson continues touring with dates at the CMA Theatre in Nashville on October 10, Bass Pro Shops at the Pyramid in Memphis on October 12 and Talladega Superspeedway on October 13. Other tour dates can be found on his website, www.chrisjanson.com. Fans can see Janson on the 52nd annual CMA Awards live from Bridgestone Arena in Nashville on November 14. The show, co-hosted by Brad Paisley and Carrie Underwood, will air live beginning at 9 p.m. Eastern over ABC.